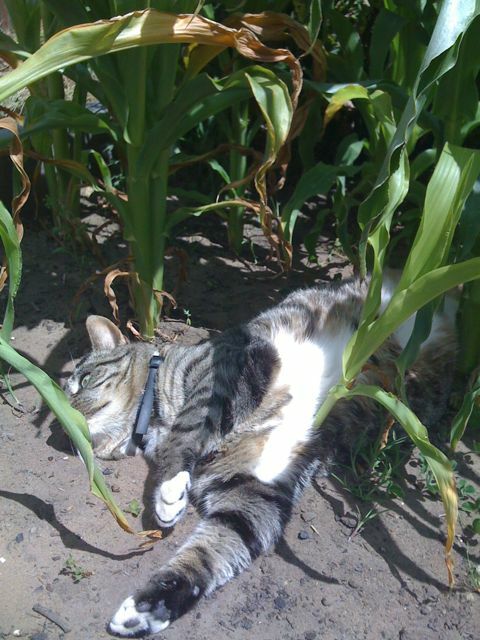 Since I got my veggie patches, my cat Puss has loved this one corner of one of them in particular. This just happened to be the spot that I planted my corn seedlings at the start of summer. 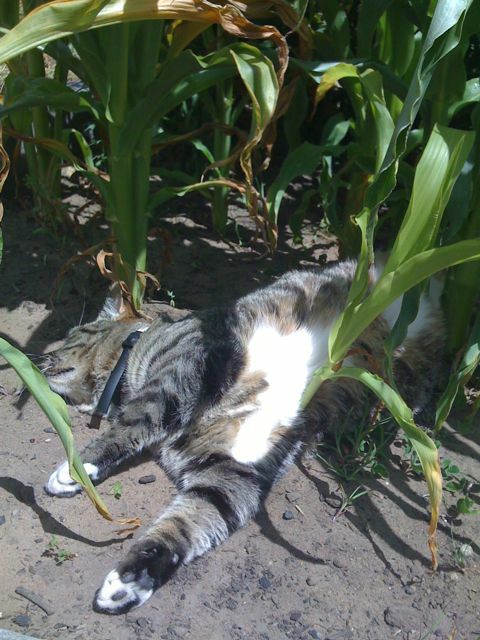 Both my cats love rolling in the sandy & dusty parts of the garden, and Puss discovered early on that the sandy soil we got delivered is perfect for this!! 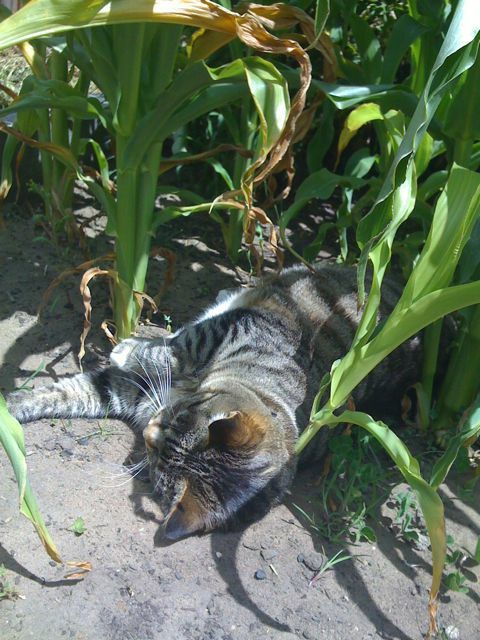 She was so determined to roll in this spot, that it became a bit of a survival-of-the-fittest issue for the little corn plants! I sowed the front part of the bed (foreground of photos) twice, only to have the seedlings flattened by Puss’s somewhat wide girth…. Most of them survived however and are now starting to put up their pollen & silk. Exciting times!! This entry was posted on January 16, 2009 at 2:40 pm and is filed under gardening, iphone posts, veggie patch. You can follow any responses to this entry through the RSS 2.0 feed. You can leave a response, or trackback from your own site.